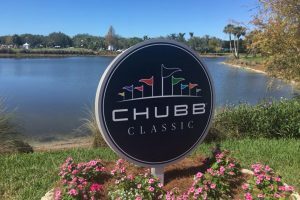 The Chubb Classic, an official PGA TOUR Champions event, will be held February 11-17, 2019 at The Classics Country Club at Lely Resort. The 2019 Chubb Classic will be the 32nd playing of the event in the Naples community. The Classics course, a par 72, 6,714-yard championship layout, designed by World Golf Hall of Fame member and winner of the inaugural Chubb Classic, Gary Player, showcases the scenic beauty native to Southwest Florida, and serves as the centerpiece of The Classics Country Club at Lely Resort. Six years after the inception of the course, in 1996, The Classics Country Club at Lely Resort hosted the Chubb Classic and was won by the legendary Al “Mr. 59” Geiberger. Since its inception in 1988, the Chubb Classic annually attracts a strong field of competitors. World Golf Hall of Famers Fred Couples, Bernhard Langer, Lanny Wadkins, Lee Trevino and Gary Player have all won the event. Last year, Joe Durant birdied the final two holes and held off Steve Stricker for the title. In addition to the Tournament, the event features several special events throughout the week – the Taste of SW Florida, the Golf to Paradise – First Tee Champions Challenge and Subway® Family Putt for Dough. For more information about the Chubb Classic, please visit www.ChubbClassic.com or call the Tournament Office at (239) 593-3900.